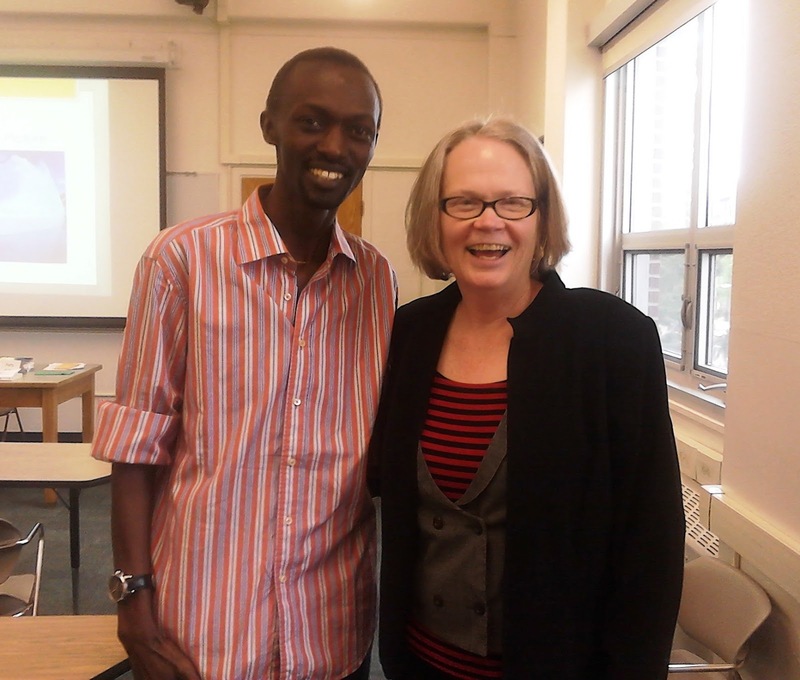 USA-AFRICA: Career and Gender Identities, break the rules! Career and Gender Identities, break the rules! If we trust that “Man is always looking for someone to boast to; woman is always looking for a shoulder to put her head on” (Henry L. Mencken), probably the world can’t change whereas it is a permanent and competitive one. Some thought that Liberia became forever a modern and democratized society being ruled by Mrs Ellen Johnson Searleaf, as the first African Head of State. Consequently, in a male monopoly field such as the African Presidents’ forum, how could she stand and be seated, and speak up? “I am the greatest. Not only do I knock em out, I pick the round!” could she quote Muhammad Ali? And, in that post armed conflict country, there was nothing else but competition above all other speculations such as, believes – religious and alike – or even sciences’ –biology, psychology, etc.-, considerations. Let’s swear by Dalton Camp’s “Politics is made up largely of irrelevancies” to hold this discussion going through a particular and highly technologic profession: the pilots’ career. For sure, everyone might have the right to choose his/her profession moreover, competition and abilities must support the employments and professional career process rather than the gender identities. Evoking the liberty to choose one’s profession, going to some Leadership lessons, I met Dr Patty Kero who chose to become a teacher though she was trained and licensed to fly some aircraft. She is teaching leadership through different fields. Her story is about a family whose father was a pilot. He died through an accident during his profession. Kero’s mother who had preceded the late father in aircraft piloting but, who rarely practiced, decided then, that the children studied piloting, beside other good schools they were sent to. Did anybody hear “Competition is the whetstone of talent”? The website, “Celebrities you didn’t know were pilots” illustrates from some American superstars, such as, Morgan Freeman, Harrison Ford, Clint Eastwood, etc. ; and we could not imagine that the list could continue with Angelina Jolie or Gisele Bundchen. They both learned and know how to fly an airplane. Although it is recognized some gender and career-level differences, this testify that both men and women can be and equal pilots. Chiefly, the pilot career developed during and after the World War I. As some results, the aviation research and industry joined, and then followed the fighting psychology. According to Dr Acharya Ganesh and Joseph Catherine, “high-spirited, happy-go-lucky sportsmen” were favored aircrew. Yet in 1929, twenty women experienced a historical race, 100 hours in solo flight that was named the Women’s Air Derby. The men had to spend same hours and following same rules in the National Air Race. Nevertheless, for longtime, back to the psychological aspect, the sayings implicated some qualities attributed to male pilots: the courage, reserved persons, intense mental application, gallant, with a military posture, able to act in the wink of an eye, etc. However, elsewhere and eagerly, as Katherine Stinson did it at sixteen, being the first worldwide woman to fly in 1911; Esther Mbabazi, 24, defeated the world’s common credits becoming the first Rwandan female pilot in the year 2013. Born in Bugarama, her familly went back in Rwanda in 1996. Her mother is known as the only girl in her electricity class. Esther proved that in this era of competition, the business and technology facilities have deleted the barriers to knowledge, from africa to Florida. Proudly, she declared "There are not so many male Rwandan pilots either. 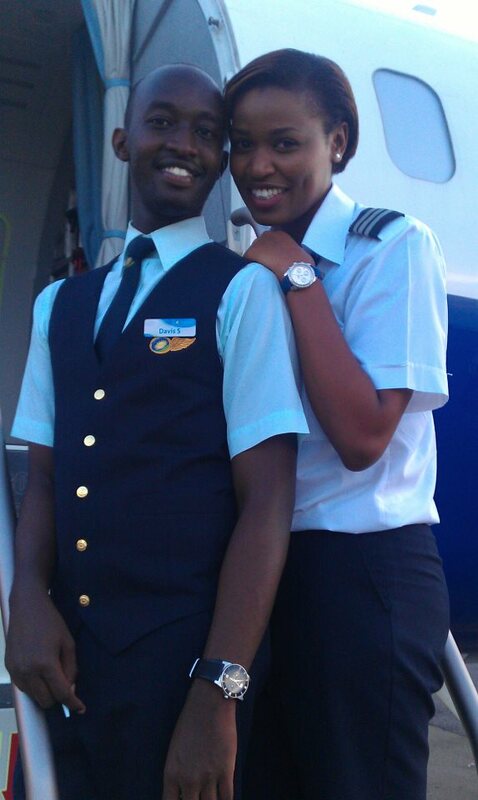 So even though I am the first female, my colleagues are the first male Rwandan pilots to be flying commercial planes. So I think it's a big change for all of us Rwandans and something that should be celebrated." Like Kero's father, Esther's father who was a pastor, died in an aircraft accident in today's Republic Democratic of Congo. Hence, taking the African culture in general, Esther is regretting that in the past, "women have to cook” and she wrote to me, "Time is changing", whereas she now parallels, “If you really work hard and you prove that you can do something well, I don't think there's a question of you being a woman.” Esther then precised, "For me, there is no job for a particular gender". Last thursday, may 23rd Esther added "It was simple but, always good feeling that I just landed safely at Nairobi airport. Fathers, mothers, sisters, husbands, etc.,were getting home safe." One day in 2008, before the North West America airplane (NWA) had to land off from Tacoma airport, I heard the commandant pilot granting “Ladies and gentleman, I have the pleasure to announce my last flight, to be replaced by my daughter after fifty years of career.” Should passengers clap as they did if a retired pilot was presenting his son as successor? In other words, is it still correct just to consider employments and careers as advancements and opportunities than comparing gender identities? What may mean,The Global Peace Talking ? "The USA greatest embassy dedicated in Burundi"